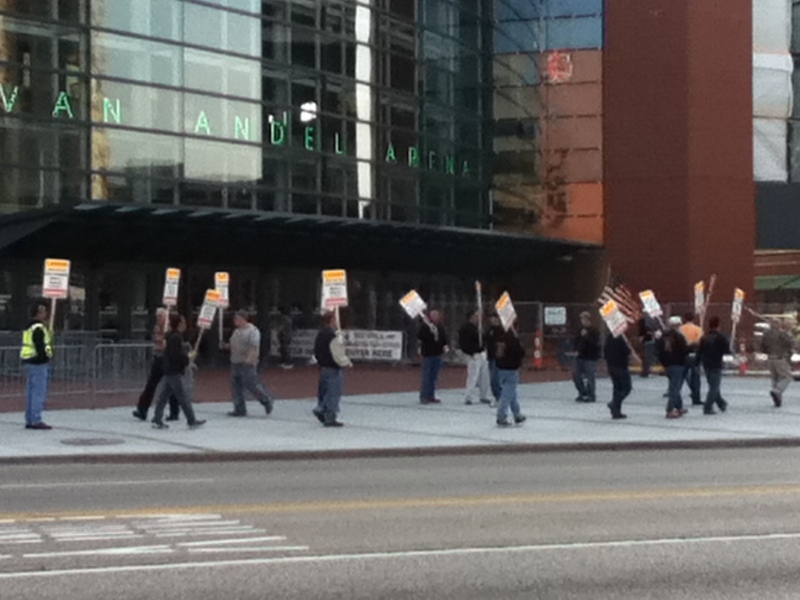 On my way back from lunch I noticed that there were some protesters outside the Van Andel arena again. I think they were protesting Ritsema again, like they earlier in October, but I'm not sure. Unfortunately, I haven't seen anything online that talks about it. But the last time I saw them out there it was a bit before an article popped up on MLive, so who knows. 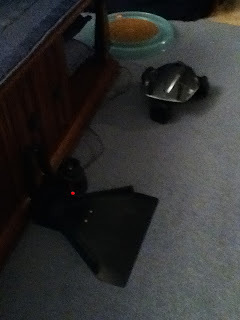 When Chris and I got home from dinner and running errands we noticed that the Rovio had moved on all by itself. It's a remote control car with a small camera and headlight on the top of it that Chris and I can log into remotely to see what's going on in the apartment. 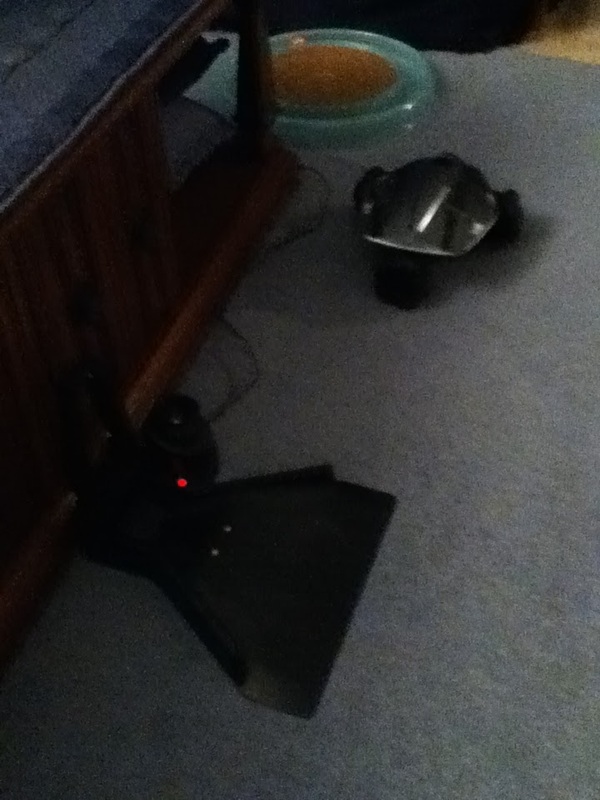 Anyway, it was interesting to find it only a foot or so away from it's base and dead.